See killer whales, sea lions, polar bears, penguins, bottlenose dolphins and beluga whales! 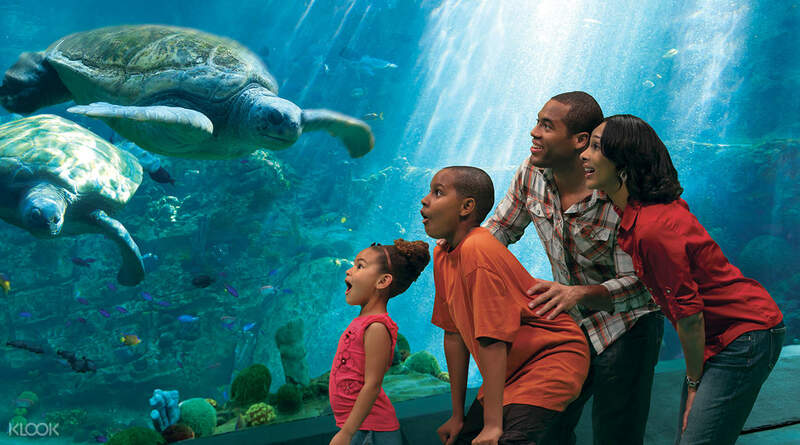 Sea World is suitable for kids of all ages and adults who want to see amazing marine life! The experience is fantastic. Is a family adventure park with alot of chilldren rides. I A must to visit if you travel to San Diego. Walk direct to the Guest Customers Service counter to exchange for the wrist tag. And it's good to go! All over the world, Sea World San Diego is bringing joy to children everywhere with its massive array of marine animals. Sea World San Diego is the biggest and most famous location, two hours south of Los Angeles. Explore the park and see the most amazing animals: seals, sea lions, polar bears, dolphins, whales, and more. 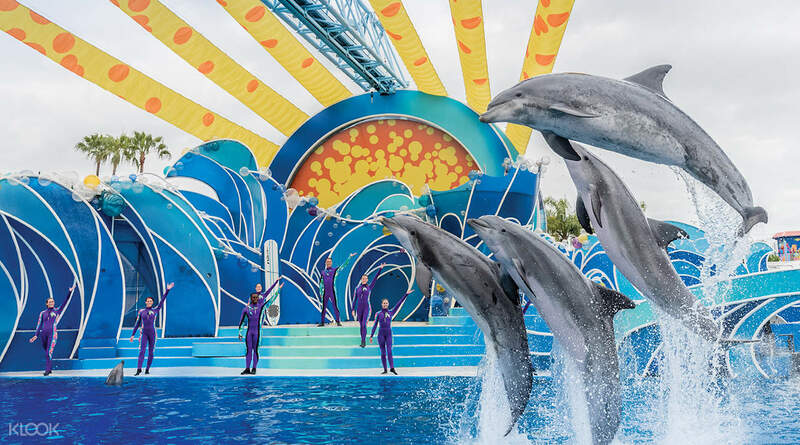 Sea World is all about the animals and offers many live shows and special attractions all over the park. From Turtle Reef to the Shark Encounter, and even thrill rides! You'll be able to spend a whole day enjoying the sight of marine life on show at Sea World! Visit one of the biggest Sea World locations in the planet! See amazing live shows and attractions! 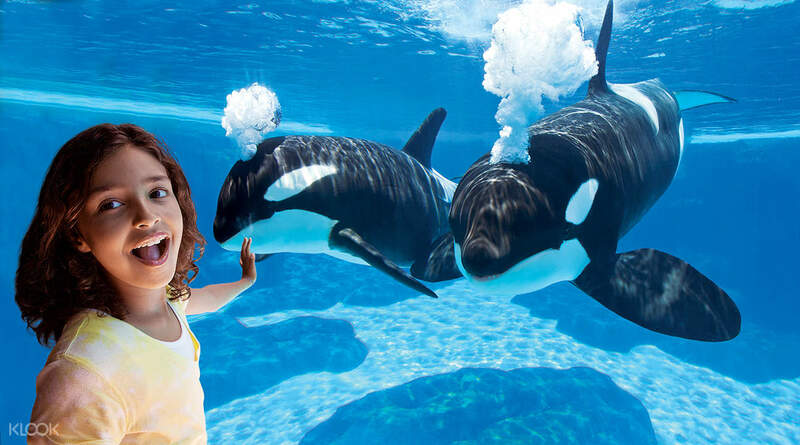 From killer whales to dolphins and penguins, Sea World introduces you to so many animals! 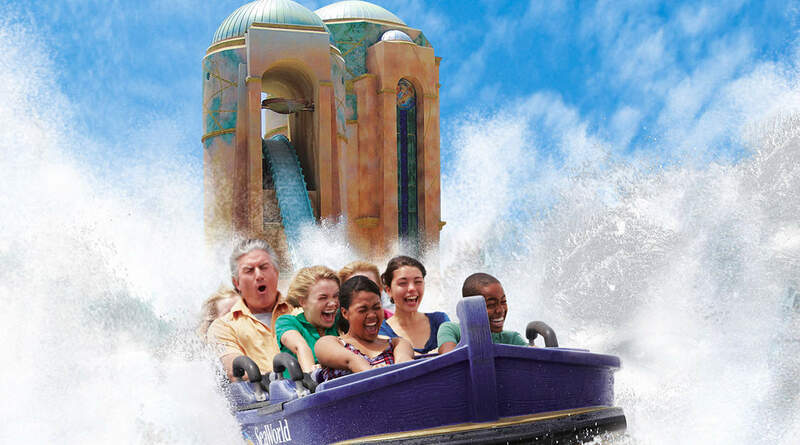 Hop on the theme park thrill rides to make an even bigger splash! Must do if visiting San Diego. The shows were the highlight and couldn’t pick which one was the best as they were all fabulous. Manta and Electric Eel rides were great too! Must do if visiting San Diego. The shows were the highlight and couldn’t pick which one was the best as they were all fabulous. Manta and Electric Eel rides were great too! Great price on Klook. Just go straight to the turnstile and show the reservation on the phone. No needs to wait in line to buy tickets. Saved at least 30 mins. Don’t miss the shows. Tons of people though, be there at least 30 mins to save seats. Great price on Klook. Just go straight to the turnstile and show the reservation on the phone. No needs to wait in line to buy tickets. Saved at least 30 mins. Don’t miss the shows. Tons of people though, be there at least 30 mins to save seats. Easy to use. Just scanned the barcode and you can get into the entrance. Meals are good. Different choices in different restaurants. Not many people to queue when we visited, normally queued 10-15 min to collect the meals we ordered. Easy to use. Just scanned the barcode and you can get into the entrance. Meals are good. Different choices in different restaurants. Not many people to queue when we visited, normally queued 10-15 min to collect the meals we ordered. Cheap on Klook & hassle-free entry. May be more worth it to go on a weekend (same price) as it closes later, and there is the Orca VR experience and possible parade. However, not crowded on weekdays and easy to get good seats for all the not to be missed shows! Cheap on Klook & hassle-free entry. May be more worth it to go on a weekend (same price) as it closes later, and there is the Orca VR experience and possible parade. However, not crowded on weekdays and easy to get good seats for all the not to be missed shows! The conservation story bundled with appreciation of animal training to entertain the visitors. Encounter with animal is special experience. 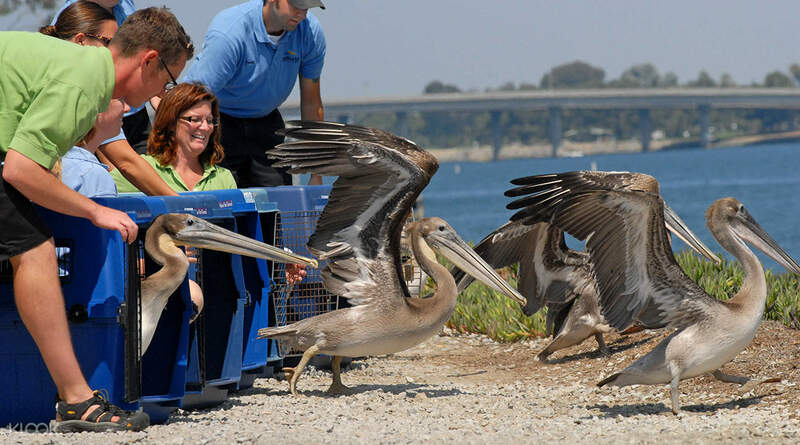 The conservation story bundled with appreciation of animal training to entertain the visitors. Encounter with animal is special experience. Easy to redeem, just show voucher on handphone at entrance. Fuss free, instant confirmation and cheaper in price. Easy to redeem, just show voucher on handphone at entrance. Fuss free, instant confirmation and cheaper in price. good tickets, easy to use and no need to line for buying tickets. I will buy other tickets from you again further. good tickets, easy to use and no need to line for buying tickets. I will buy other tickets from you again further. Q: I wrote my surname wrong. Can I change my name on the voucher? A: You don't need to change the name since they won't verify your name.